Next time you feel under the weather, be sure you and your doc are on the same page with the help of a licensed medical interpreter. Being misunderstood in the clinic or hospital when you already feel bad in body and mind is the last thing you want; worse is receiving treatment or medication that you did not expect or do not understand. Enter 28-year-old Anju Tatsumi, a self-employed licensed medical interpreter. 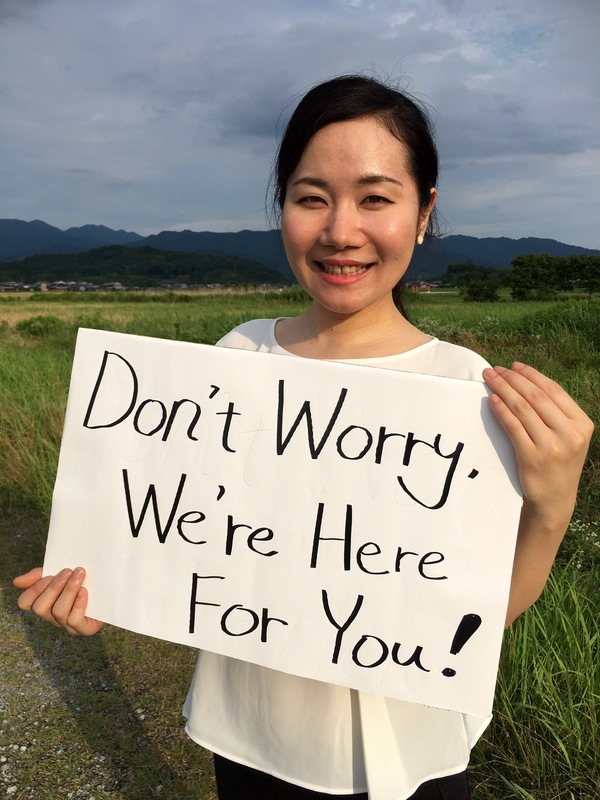 Her mission is to help foreigners get the medical support they need on their travels or while living in Kansai. Currently, there are only a few medical facilities in Japan that employ professionally trained medical interpreters, and they are typically in big cities. In most other places, second-language support often comes from volunteer workers or a medical staff member on site who happens to speak some English. In contrast, medical interpreters are not only technically trained as interpreters but they have also acquired detailed medical knowledge. This enables them to be professional intermediaries between healthcare providers and patients and their families. “We accompany patients from the moment of reception at the hospital until being discharged. We stay with them and deliver consistent interpretation every single moment during examinations, diagnosis, medication guidance, delivery, local anesthetized surgeries and so on,” Ms. Tatsumi said. While there is no national license for medical interpretation yet, there are a number of technical schools and courses that specialize in medical interpretation. Ms. Tatsumi took up training at Osaka’s INTER SCHOOL, the very first school in Japan that offered professional medical interpretation training. The school cooperates with Rinku General Medical Center, which is located close to Kansai International Airport. The Center’s doctors give lectures in anatomy and treatments at INTER SCHOOL and students practice interpretation during specific medical situations through role-plays. “We were trained to translate medical terms into plain words and vice versa to ensure that the doctor and the patient are on the same track. We also learned how to interpret expressions of pain, and talk about sensitive subjects, such as delivering news about cancer or life expectancy, in an indirect and soft yet accurate way,” she explained. Having previously lived in the UK for eight years, Ms. Tatsumi knew all too well what it is like to have to explain oneself to a doctor in a second language. She also developed an intimate understanding of hospital patients’ experiences after her own brother was diagnosed with cancer. His struggle to fight the illness with endless treatments and prolonged hospital stays led to her becoming more and more interested in medical care. So, when a newspaper article caught her eye, stating there was an urgent need for medical interpreters due to an increase of international visitors and foreign residents in Japan, she jumped at the opportunity. “I had this strong sense that this was my calling. I know how it feels to be sick or mentally down in a foreign country. How do you express your aches, pains, and struggles if no one speaks your language? How relieved I felt when somebody helped me with kind and accurate advice at clinics or pharmacies in the UK,” she said.